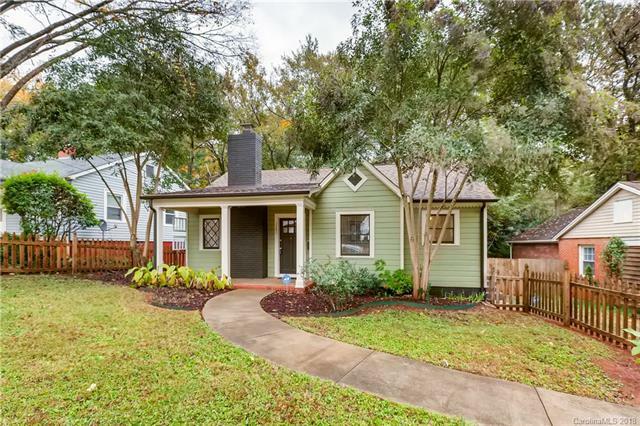 Adorable bungalow in happening Historic Wilmore Neighborhood is a perfect location for entertaining. The home has an updated kitchen including custom cabinets, granite countertops, gas cooktop, newer refrigerator and a breakfast bar that looks out into the eat-in dining room. Timeless original hardwood floors throughout with travertine tile in the kitchen and bathroom. Rear deck overlooking a fully fenced backyard with picket fence in the front! Just a short walk to new trendy bars, breweries, restaurants and shopping along Mint Street and the Gold District. Just one mile to Uptown Charlotte and Carolina Panthers Stadium. Sold by Nestlewood Realty, Llc.